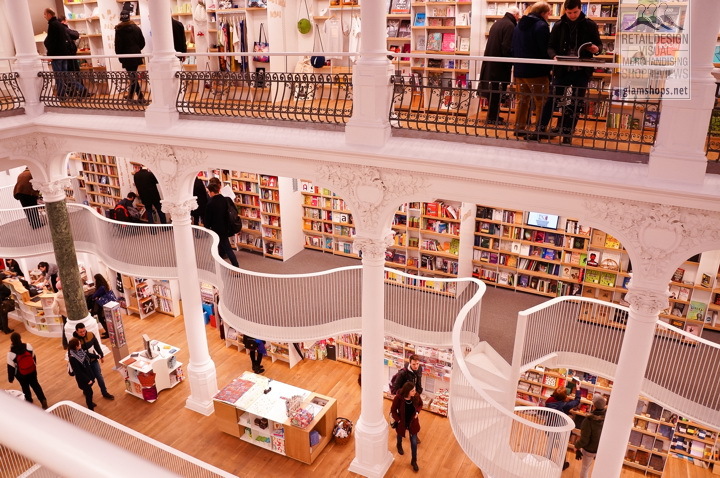 A bookstore is more than a space where books are sold. 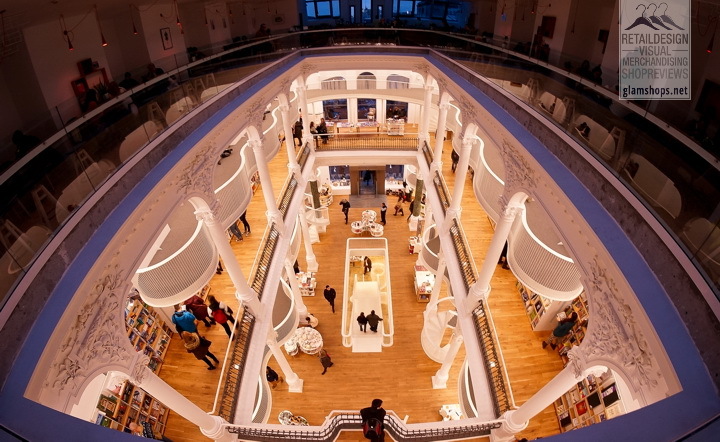 When it looks like ‘Carousel of Light‘, the act of reading becomes a wonderful, unique experience. 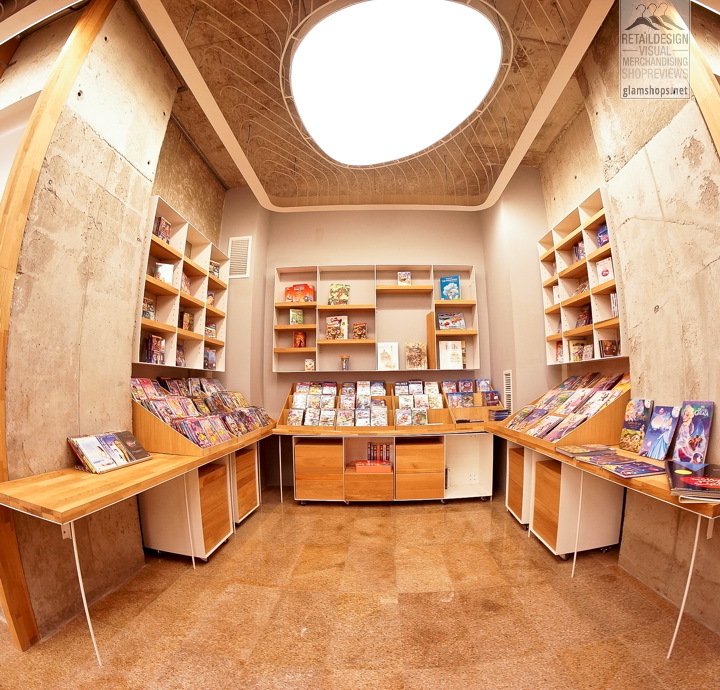 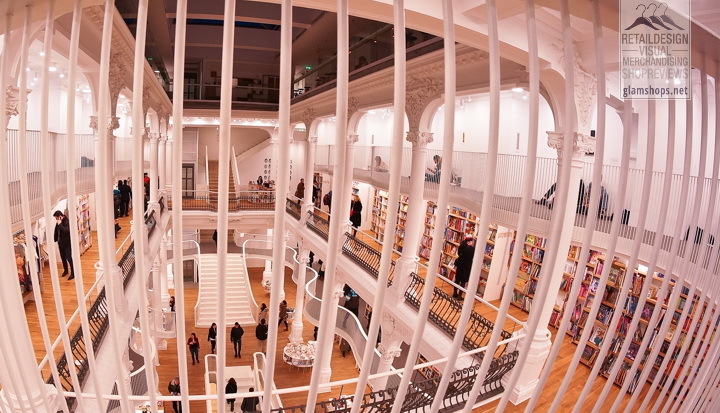 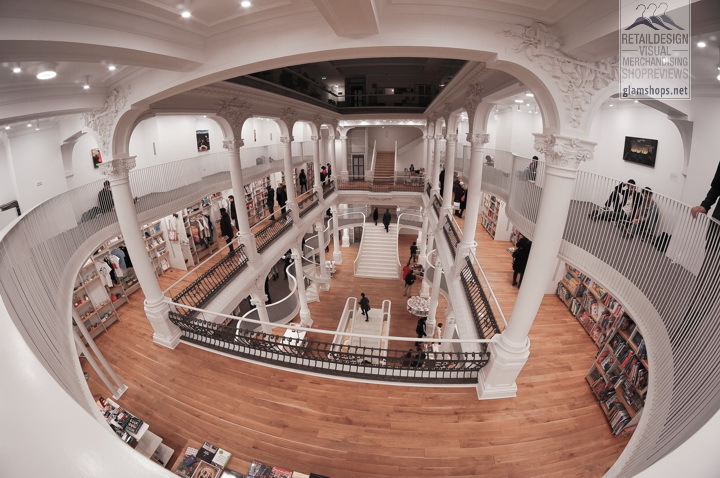 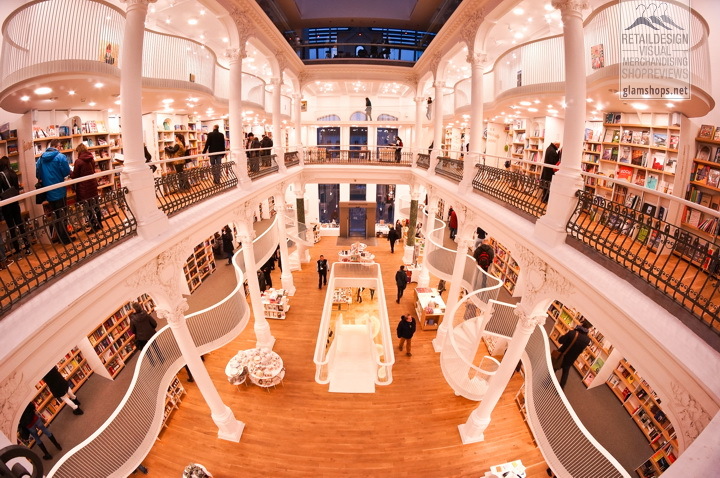 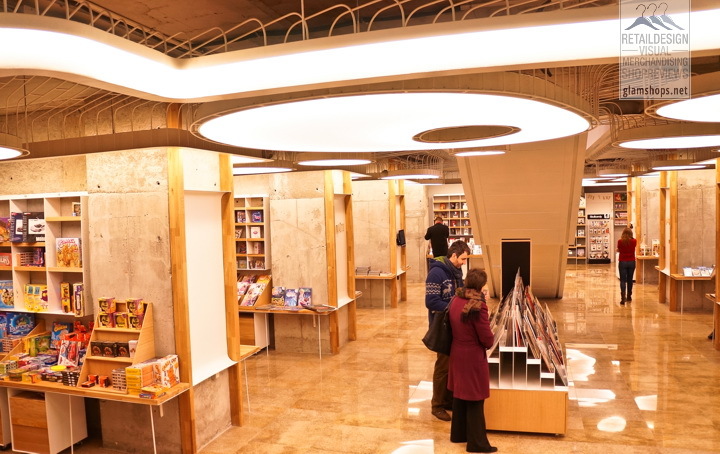 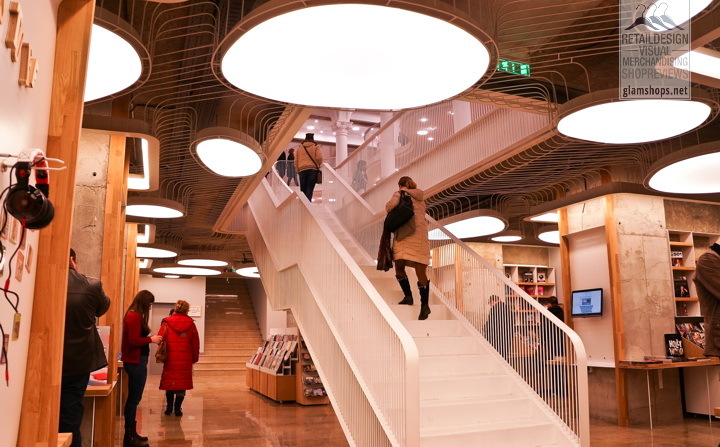 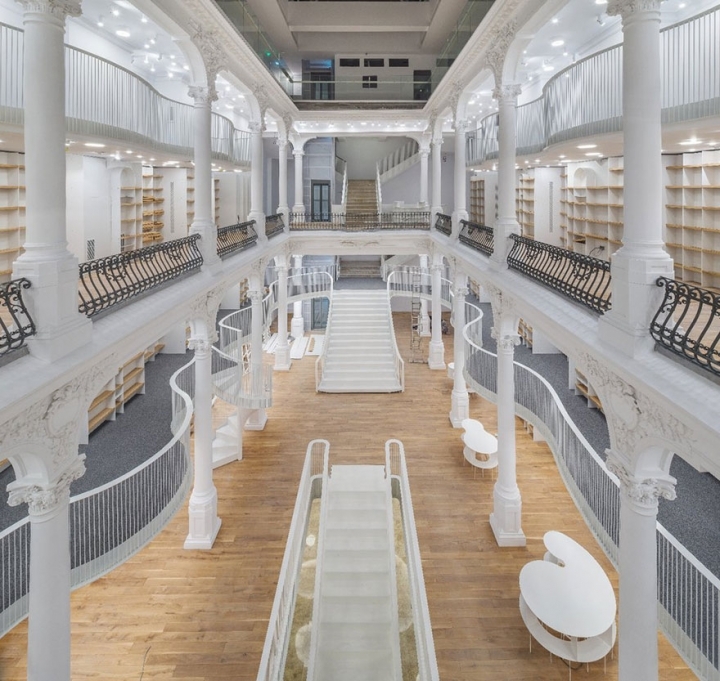 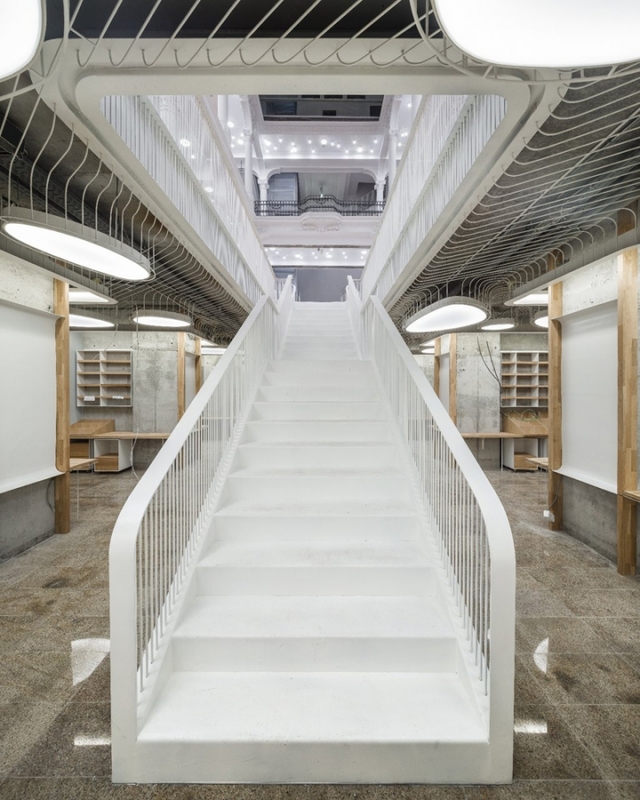 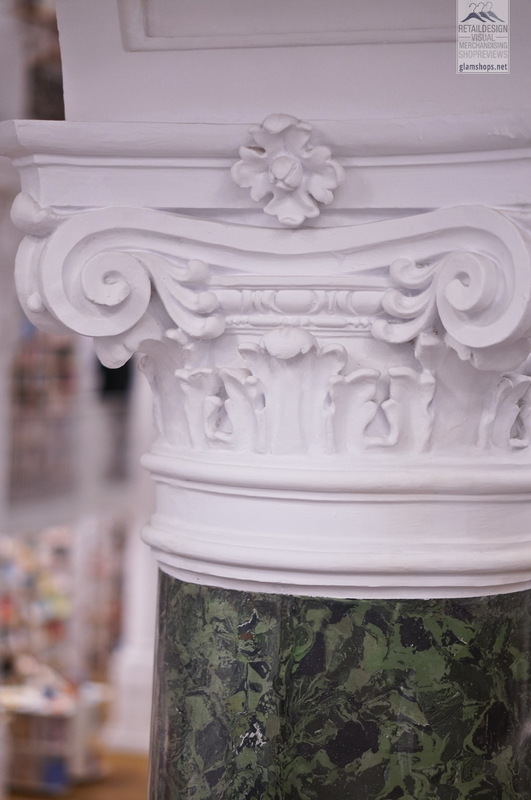 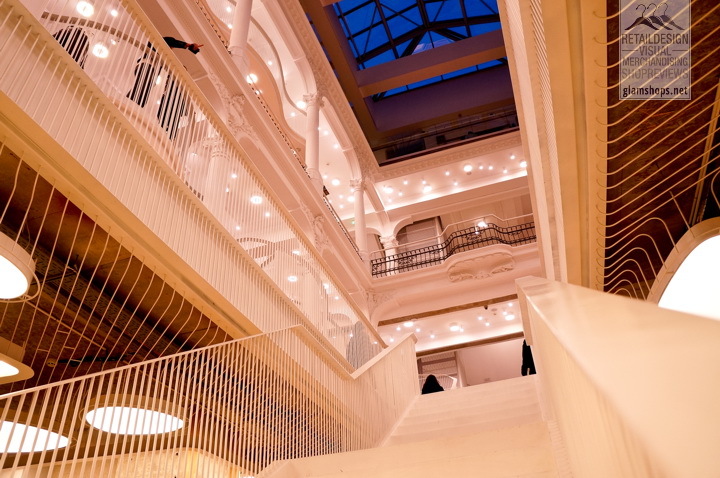 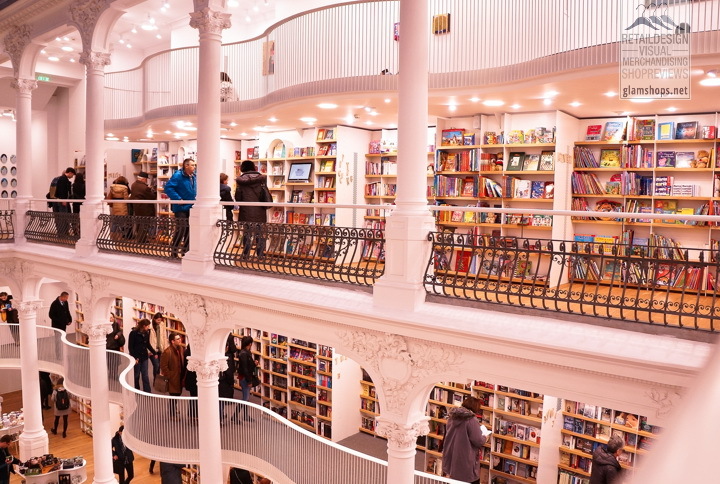 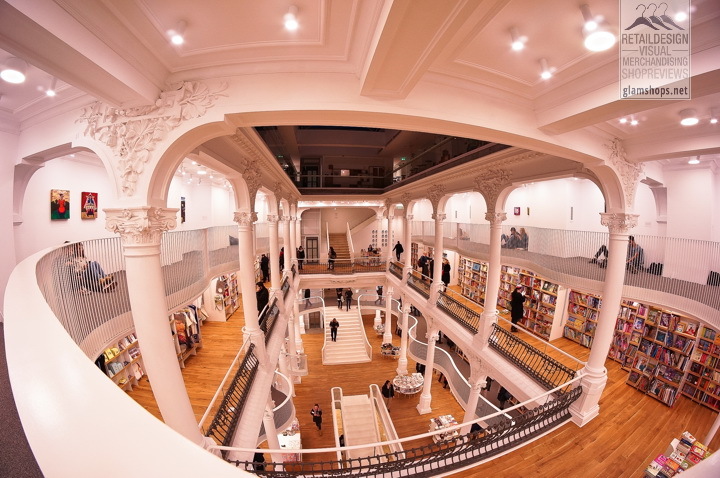 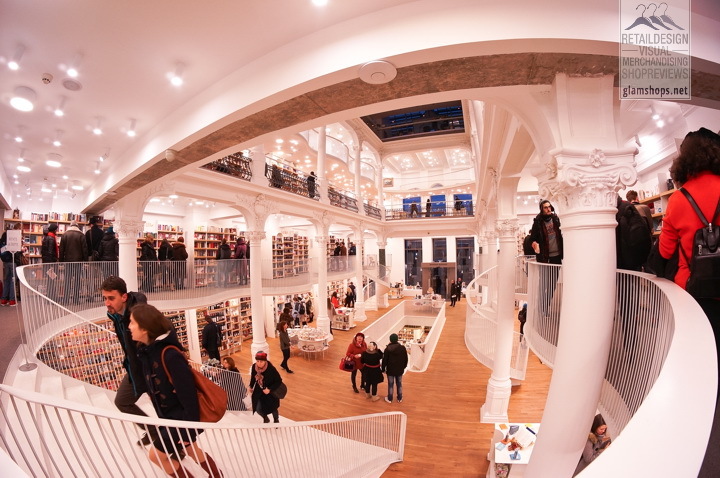 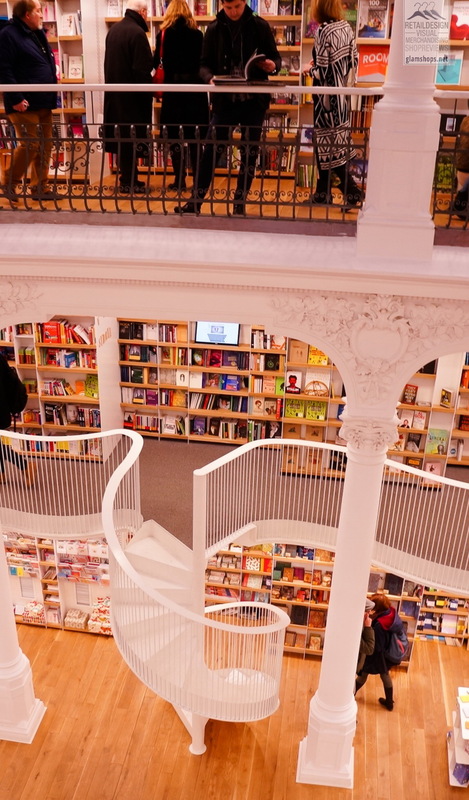 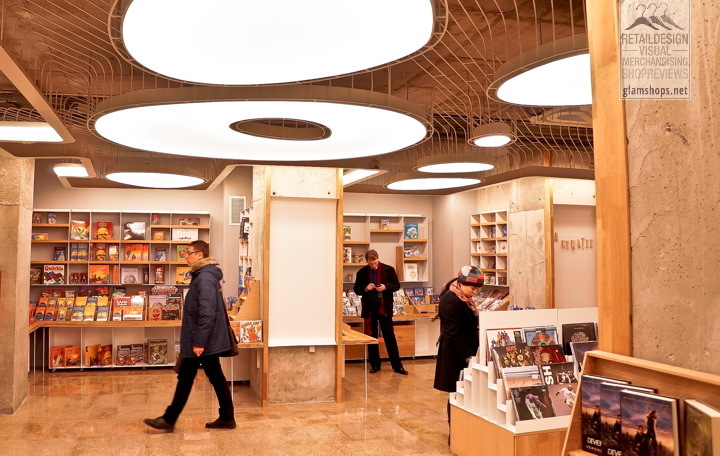 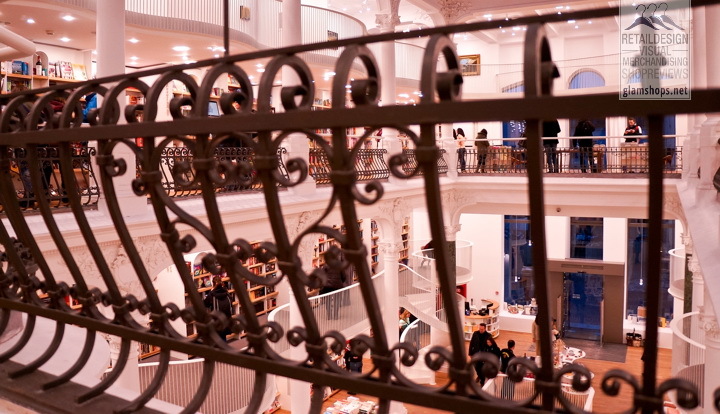 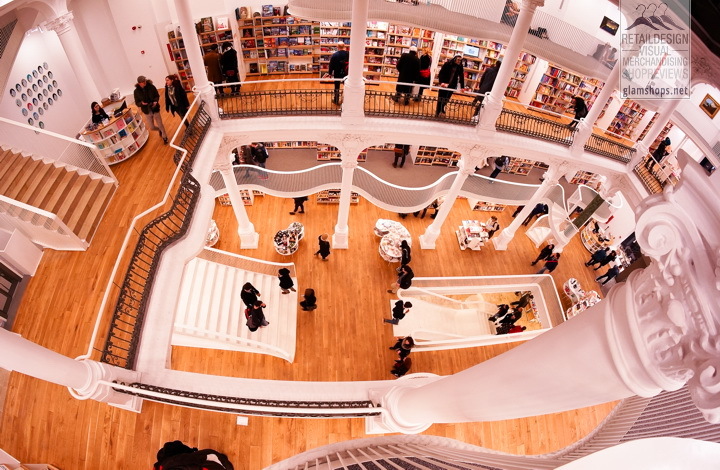 As the owner explains, the new Carturesti Bookstore in Bucharest, a 6-level construction represents an experiment of ‘cultural habitation’ in the ancient center of Bucharest, capital of Romania. 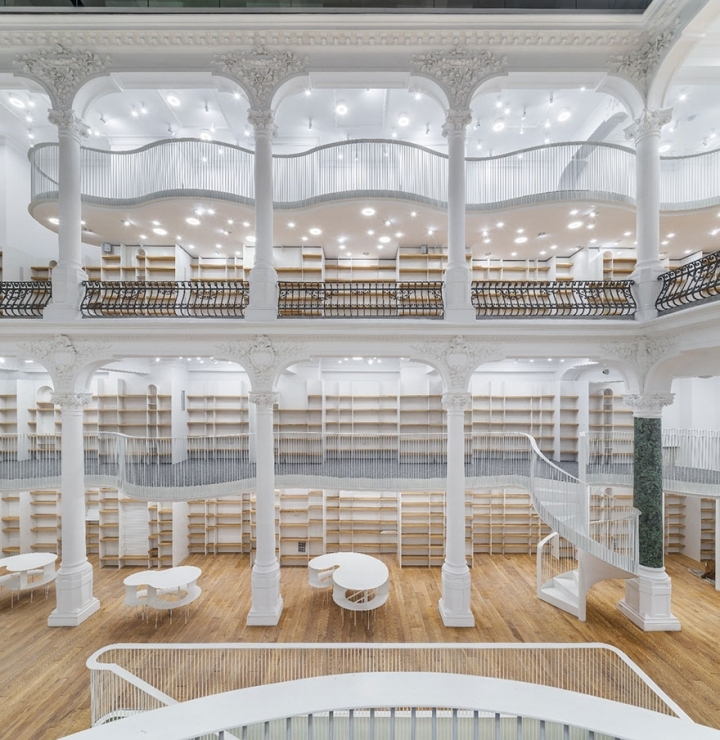 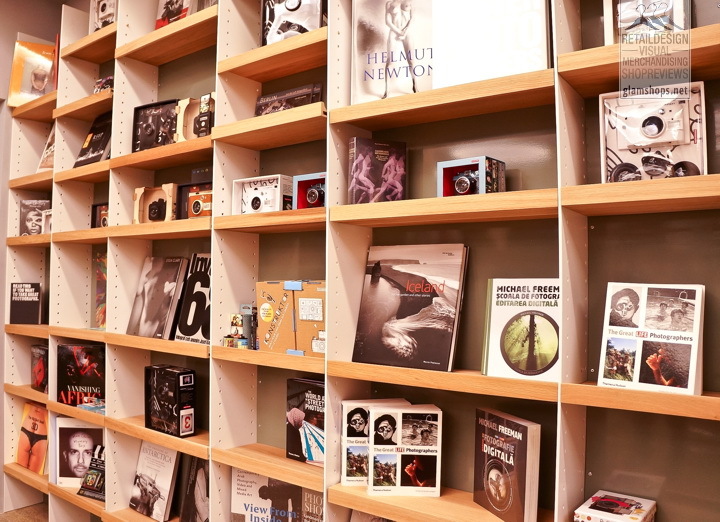 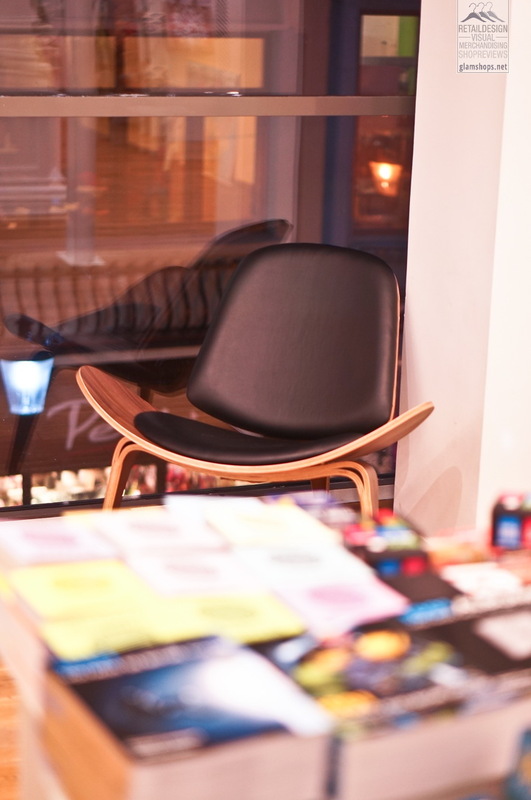 This new bookstore in Bucharest offers space for reading, socialising and artistic explorations of the city. 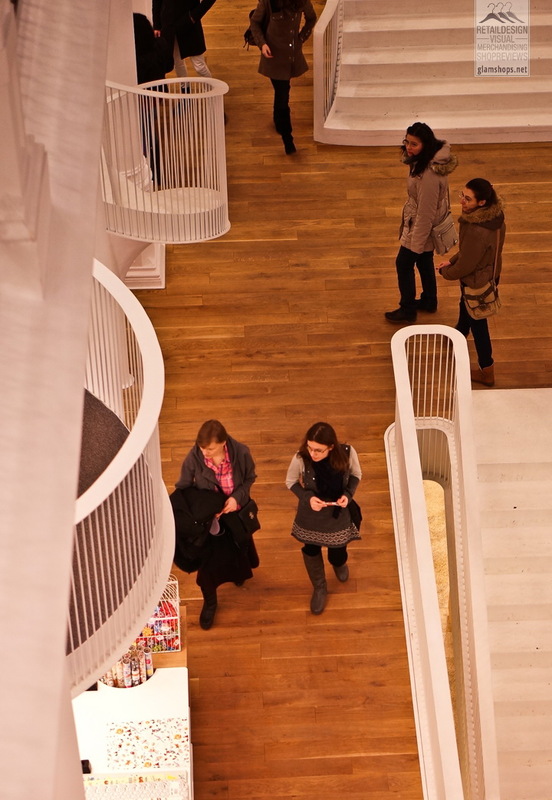 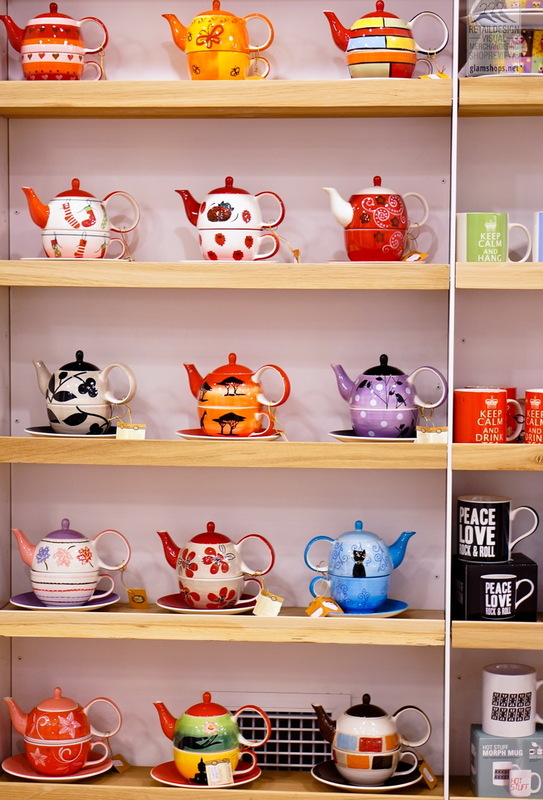 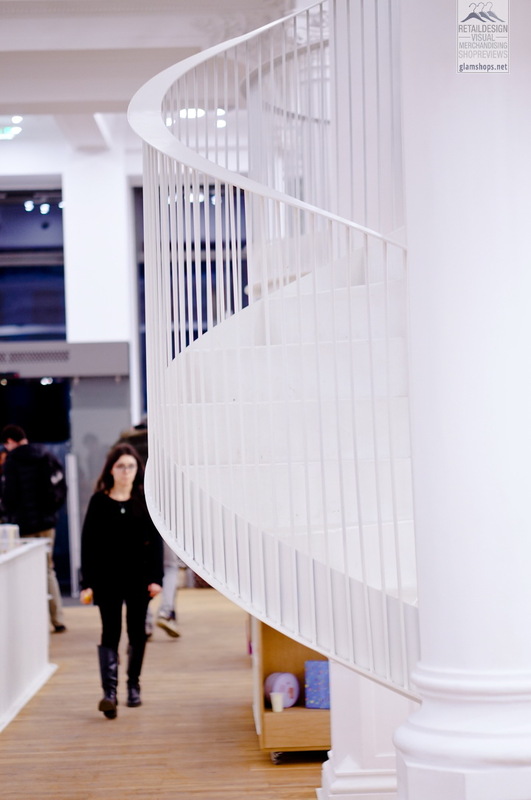 Moreover, the place offers a lot of other activities: a bistro, a media centre in the basement and an art gallery dedicated to contemporary exhibitions at the first floor. 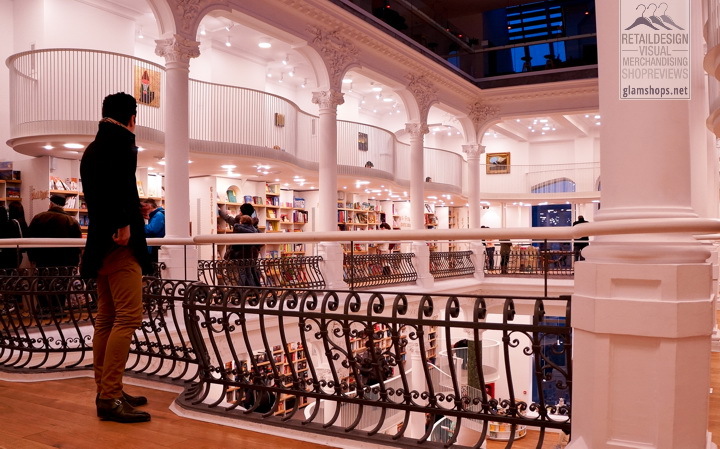 The elegant nineteenth century building was owned by a famous family of bankers in 1903, but it was confiscated during the communist period and turned into an ordinary store. 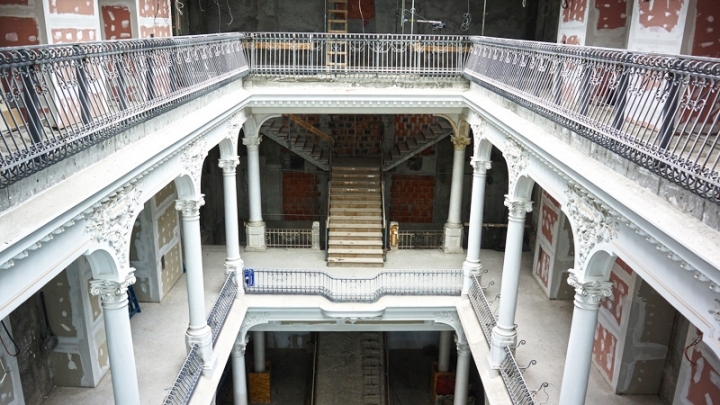 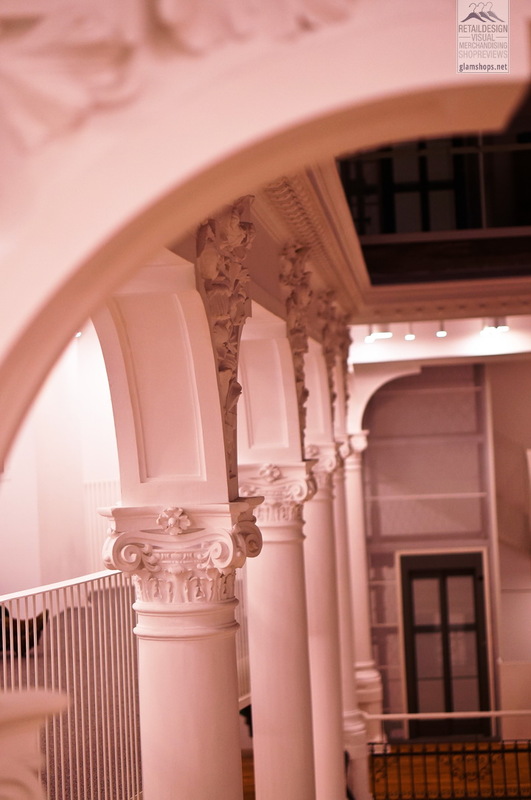 After 1990, the building was recovered by the current owner, Jean Chrissoveloni who started an ambitious project of restoration with Square One studio. 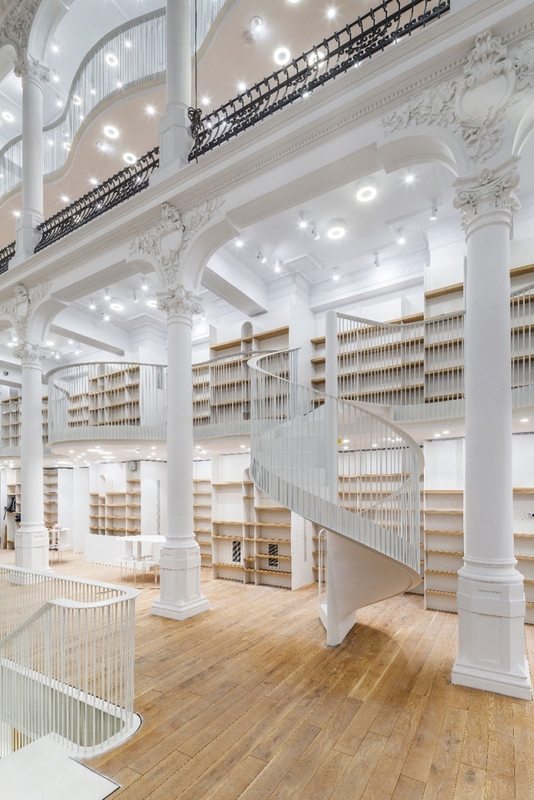 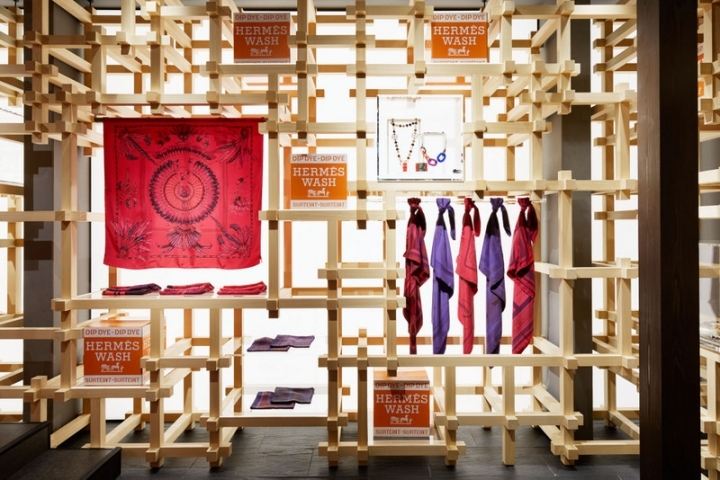 ‘Our idea of restoring focussed somewhere between old and new. 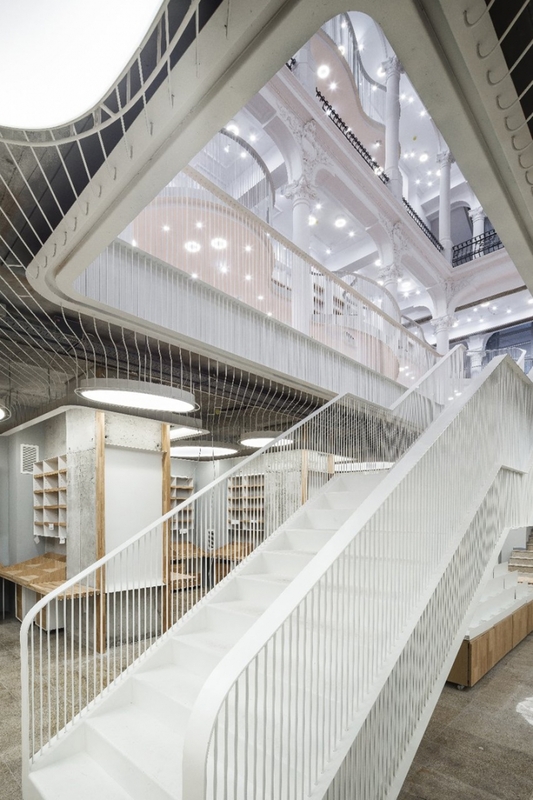 Using a contemporary language, we minimised the chromatic elements in order to make room for the play of lights and shadows generated by the central skylight. 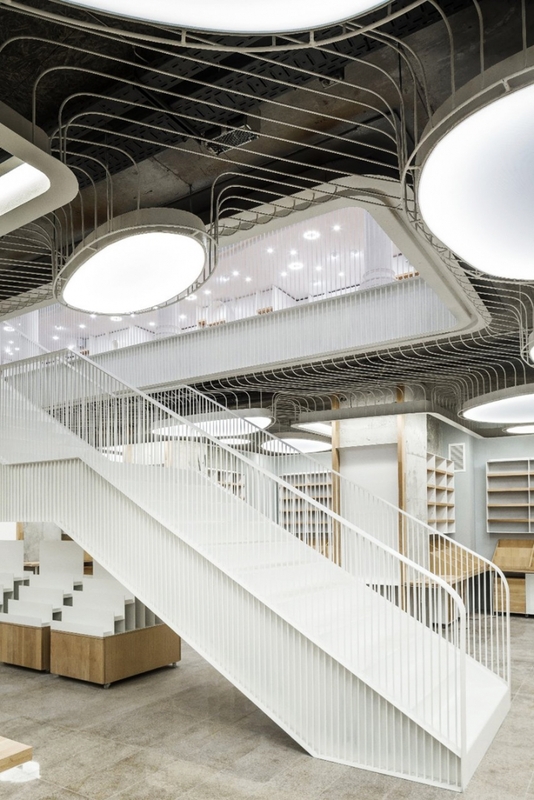 The sinuous shape of the floors creates a dynamic atmosphere similar to a moving carousel’, architects from Square One said. 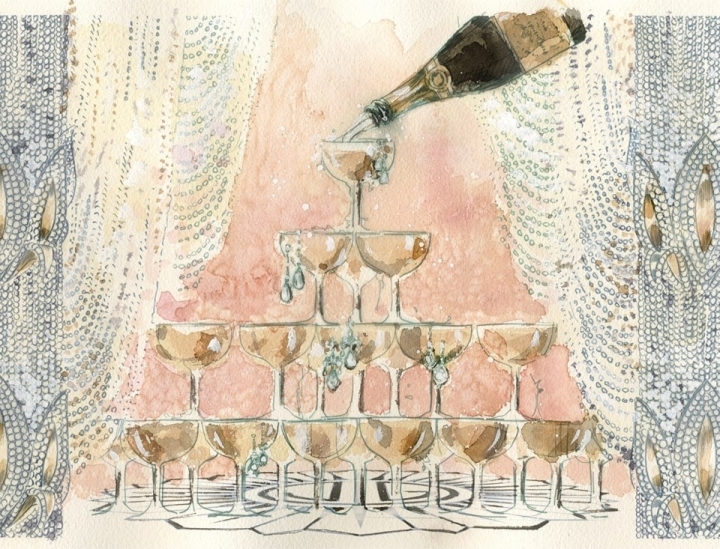 "It is both a destination and a starting point, including for us. 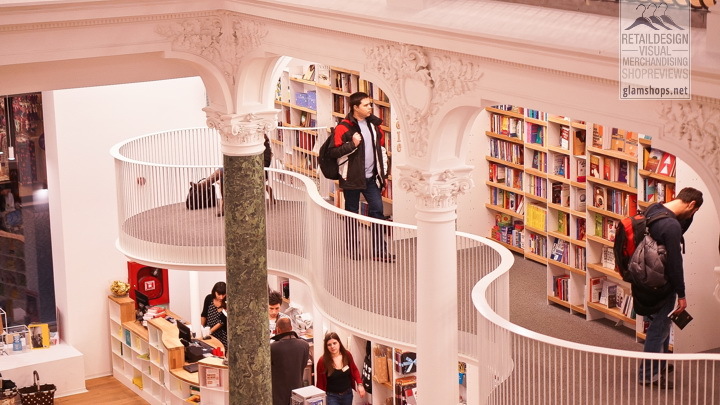 When you enter the carousel, after the innocent amazement caused by the characteristics of this impressive building, you do not rest, you seek to rummage, being carried away by your own steps, while your ideas are flowing. 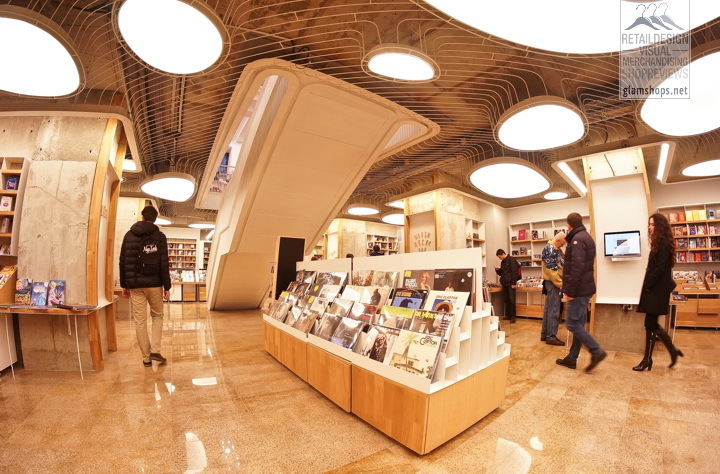 We can not fail to take advantage of all this energy, something really memorable needs to happen here’, the manager of the bookstore said. 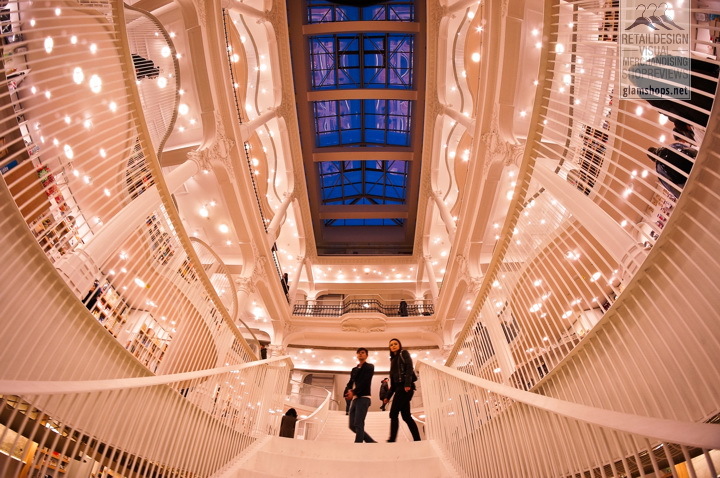 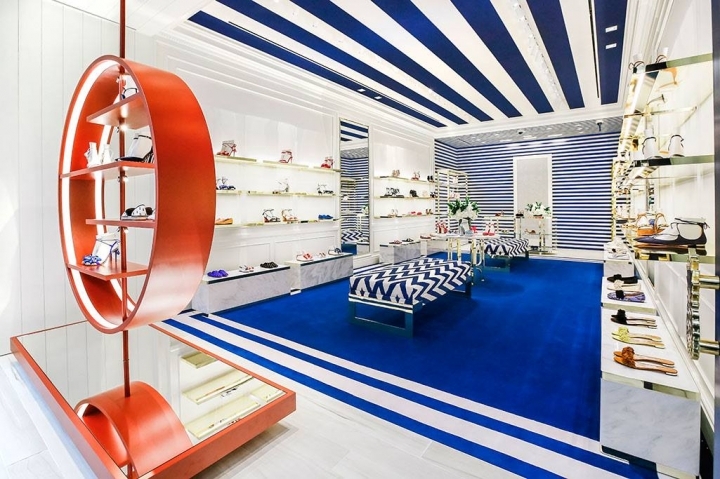 The Tiffany Windows Pay Tribute to "The Great Gatsby"